Thermal sensors measure the relative surface temperature of objects. When long wave infrared radiation emitted from objects strikes the thermal sensor, it heats up the microbolometer and this changes the electrical resistance. These changes are converted to electrical signals and stored as raw data or processed into thermal imagery. 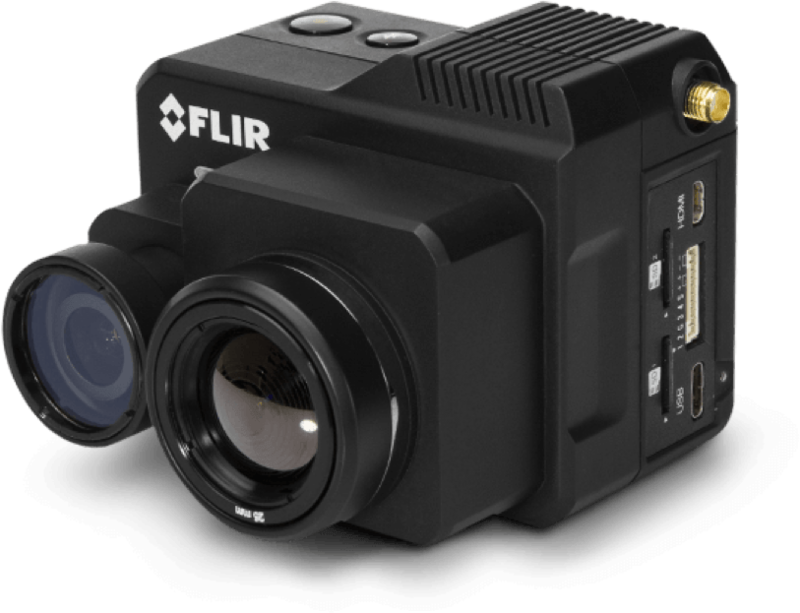 For cases in which a visual component (video or images) is needed, the sensor has a thermal imaging (or infrared) camera. These cameras form an image using infrared radiation and differentiate apparent temperature variations using different color palettes. “Thermal images show differences in total radiant energy allowing for temperature calculations. To determine true temperature, you’ll need to use a calibrated radiometric sensor,” shared Scott Hatcher, a Geospatial Scientist. All objects with temperatures above absolute zero (0 Kelvin) can be seen using a thermal sensor. Use cases include surveillance and security, infrastructure inspections, water source identification, livestock detection and heat signature detection. Drone-based thermal sensing has many applications including surveillance and security, infrastructure inspections, water source identification, livestock detection and heat signature detection. Identify overheating equipment in plants, substations and towers during routine inspections. Increase assessment accuracy by identifying electrical issues, pinpointing the source of water leaks and documenting roof and facade damage. Assess the impact a fire is having on a building’s structural integrity before sending in emergency personnel. Gain insight into heat stress, water use, and plant metabolism by measuring canopy temperature. View sources of energy inefficiencies or leaks during facility management assessment and documentation. 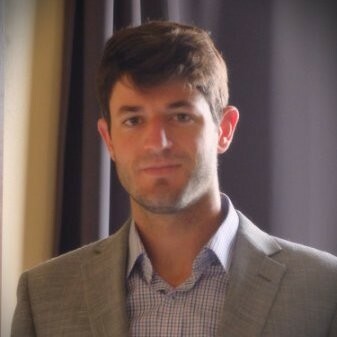 Scott is a geospatial scientist with experience in a broad range of remote sensing applications, including work for the Geological Survey of Canada, Nunatsiavut Sustainable Communities Initiative and the University of Otago. Designing workflows—from drone-based collection to insight delivery—is a challenge. There’s never been a better time to solve it. 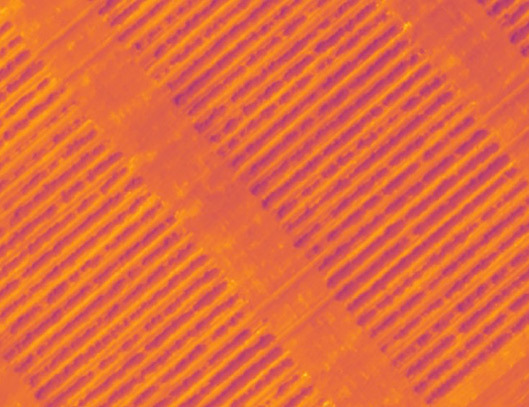 When it comes to capturing quality aerial thermal data, flying in optimal weather conditions is paramount. Both wind (over 15 mph) and precipitation can change surface temperatures. Flying in high humidity (over 60 percent) will result in a haze in your source imagery. To avoid thermal blur, keep a low flight speed (about 4 meters per second). Also of note, thermal imagers require no external light source, so they can fly at night*. There are several advantages to flying at night when differentiating objects with different thermal capacities (like water stored in insulation under a roof). Before you take flight, allow a thermal sensor to warm up for five minutes. If you have breaks between flights lasting longer than an hour, perform the warm up again before returning to the air. 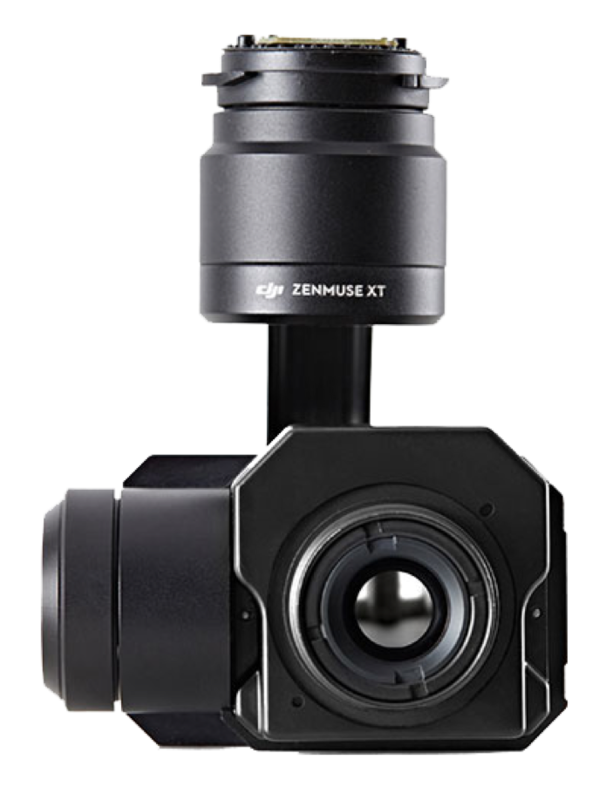 Most cameras will perform a NUC (non-uniformity correction) several times throughout the mission which accounts for sensor drift. *Note: Drone flights at night require a special waiver from the Federal Aviation Administration. Contact PrecisionHawk to schedule a consultation on how to secure a federal waiver. Before leaving the field, be sure to preview the data collected with specialized software created by the sensor manufacturer. Performing a quick review allows you to identify issues such as haze caused by weather conditions. 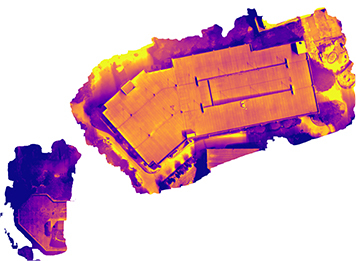 Collected thermal data is typically output in raster (image) formats, with a choice between radiometric JPEG files and TIFF files. There is a balance here: JPEG files are smaller, but you lose information. TIFF files are very large, but contain all the raw data from collection without compression. The choice depends on your use case. Wind, precipitation and time of the day impact the quality of collected thermal data. Precise mission planning is very important with thermal collection, and a good understanding of your use case is essential to getting it right. A standard visual sensor (sometimes called an RGB) collects red, green and blue wavelengths of light. These wavelengths are visible to the human eye. Thermal sensors capture differences in radiant energy to show the relative temperature of objects (in comparison to one another). To do this, they capture the energy of wavelengths within the long wave infrared area of the spectrum (8-12 micrometers), well beyond visual wavelengths. Live streaming video of thermal imagery using a drone is becoming an invaluable tool for emergency response and search and rescue missions. Facilities experience constant change. For those managing facilities, accurate building data is critical to monitoring changes, planning maintenance routines, and future capital planning. While floor plans and asset information only require updates after renovations, repairs, or replacements, it can be a challenge to monitor changes to the exterior—especially the roof, facade, and grounds. Exterior inspections can be expensive and dangerous. We typically capture all of our large-scale clients’ internal building data in less than two weeks. But, we found that collecting asset information from roofs and grounds were slowing us down. To add to the matter, we were limited to single photographs of mechanical equipment, and there’s always an element of risk when deploying our team onto tall structures or into inclement weather. To mitigate this problem, AkitaBox partnered with PrecisionHawk to expedite the external data collection process. “The time spent collecting information has been cut down from days to just hours, and we now have a holistic view of our clients’ buildings and grounds without having to take a single step up a ladder,” said Lowe. Beyond time and cost savings, AkitaBox’s clients benefit from a single stitched thermal image that’s imported directly into their facility software. The company has developed a proprietary method to collect and validate a variety of building data sets, including floor plans, assets, and room types. Using AkitaBox’s software, facility managers can view drone-based imagery overlayed onto a floor plan. This way, they can analyze their entire building envelope and use pins to mark problem areas for repairs and renovations—scheduling work orders and preventative maintenance. 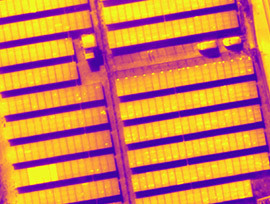 Learn how AkitaBox, a facility management software provider, used drone-based thermal sensing to accelerate roof inspections at commercial properties by 80 percent while boosting employee safety and increasing data accuracy. Let us help you select the appropriate thermal sensor.